Camden, New Jersey's New York Shipbuilding Corporation was the birthplace of many famous naval vessels, and a host of commercial ships as well. Just as notable, the workers who built those ships also built the Industrial Union of Marine and Shipbuilding Workers of America, which was founded late in 1933. It is generally forgotten that the struggle by workers for decent wages, working conditions, and a 40 hour week took far longer and cost far more lives than the struggle for civil rights. From the first attempts to organize after the Civil War right up until modern times, union organizers and union members were often met with persecution, prosecution, and in many, many cases, execution. Attempts by Soviet-trained and funded agents to infiltrate the unions in the thirties and forties did not help the situation. Camden saw its share of labor strife during the 1930s. Besides the two strikes mentioned below, RCA-Victor experienced labor trouble, as did several other large companies in the city. In the latter part of the 20th century, for a variety of reasons including the takeover of several unions by organized crime, the labor movement in great measure lost the respect of a large segment of the American people, who in past decades would have been predisposed to supporting its measures. That being said, we should not forget the bravery and steadfastness of those who fought and in many cases died for the working conditions that we take for granted in America today. Below you will find, excerpted from a booklet published by the I.U.M.S.A. in 1942 entitled UNIONISM AT WORK, which contains a history of the Union, among other things. Any comments, corrections, or additions that you the reader would like to see made are very much welcomed. E-mail me at your convenience. AS RETIRING President, in whose tenure the Educational Committee was appointed and functioned, I urge the membership of Local No. 1 to read this textbook carefully and to give it wide circulation. I know the members appreciate the efforts of the Educational Committee in compiling this very valuable and complete volume. I am confident the members will study this book and after having assimilated the invaluable information contained herein, they will recommend it to their friends, so that the entire membership is fully familiarized with its contents. I am certain that this volume will have a salutary effect both upon the membership and upon that portion of the public which reads it. I wish to thank the Educational Committee and all others who contributed to this worthwhile step towards realization of our unanimity of purpose—to win the "war for the United Nations, and to make the world a better place for organized labor. THOUSANDS of shipyard workers in Camden, New Jersey, have grown up with industrial unionism in the shipbuilding and ship repair industry. They have participated in or are well familiar with the history of the Industrial Union of Marine and Shipbuilding Workers of America, its struggle for higher wages, job security and a better standard of living for its members. They know what unionism means to them. Today many other thousands of workers are relatively new Union members. The war program has transferred them from peacetime jobs to an industry which is called upon to transport our armed forces over the Seven Seas to many fronts and to keep them supplied. To many of these new shipyard workers, the organized labor movement is an unfamiliar experience. They find themselves without a clear conception of the principles for which industrial unionism stands. Therefore, the Educational Committee of Local No. 1, Industrial Union of Marine and Shipbuilding Workers of America, has prepared this volume to acquaint all of its members with all of the ramifications of Unionism at Work. This book traces the history of Local No. 1 from its inception, through two strikes and numerous other difficulties which had to be hurdled, its growth, its role in the entire labor movement. The ensuing pages reveal the structure of the Union, analyze its constitution and by-laws and the reasons for them, describe its model contract and, most important of all, contain instructions for Union Officers in handling of grievances and conducting of meetings. UNIONISM AT WORK is more than a mere treatise dealing with generalities. It is devised as a handbook for the men actively engaged in carrying organized labor's aims to successful realization. It answers any and all questions the shipyard worker may ask concerning his role in the labor movement. "Why should I belong to a Union? ", "What does the Union do for me? ", "How can the Union help me and how does it go about helping me". The answers to these and other pertinent questions are to be found in UNIONISM AT WORK. This volume, UNIONISM AT WORK, is published at a time when the very life of the United States and the existence of all democratic forms of government are threatened by an Axis of terroristic gangsterism which is a throwback to the dark ages. Our Nation's leaders have made unprecedented demands upon labor and management to build ships with which to carry our armed forces overseas, keep them supplied and to keep open the sea lanes. The shipbuilding workers of America have met this challenge in a manner that has commanded the admiration of other industries; yes, of whole nations. Their epochal answer is born of patriotism, love of the freedoms guaranteed in the Bill of Eights, pride in a job well done, and a determination that organized labor shall lead the way to victory on the home front. Why is the morale of Americans shipbuilders so high? The answer lies in the pages of this volume. Here is the history of the Industrial Union of Marine and Shipbuilding Workers of America—its birth, its long struggle to raise the living standards of its members in the shipbuilding and ship repairs industry, its influence on the economic and social welfare of the communities in which its members work and reside, and its unflagging fight to provide higher wages and better working conditions for organized labor. Labor has made many gains and now, during a period of world-wide conflict, is called upon to make many sacrifices. These it willingly makes in the knowledge that out of its sacrifices and tireless work will emerge a better social world in which its members will play an even greater role. I congratulate the officers of Local No. 1 and the personnel of its Educational Committee for essaying this timely brochure, which emphasizes the constant vigilance of the Union representatives against encroachment of its members rights and points the way for greater production of ships through realistic acknowledgment of the true worth of every worker on the home front. Here is worthy evidence that Unionism is truly Democracy at Work. IN UNDERTAKING to publish this handbook of the history and the functions of industrial unionism in Americans shipyards, we were fully cognizant of the problems confronting us. We knew that such a task would require long hours of careful research, painstaking toil, and, most important in such an undertaking, a great deal of co-operation from many men in possession of valuable data. We feel that the result has been well worth the effort. We have a textbook— the first complete work of its kind—which is a valuable contribution to the cause of Labor in its determination to defend our frontiers with ships and more ships, and at the same time protect the rights it has gained for organized workmen. I would like to express my personal appreciation to all those who have wholeheartedly co-operated with me in this splendid work. Particularly I wish to tender my appreciation to the Educational Committee, the Official Board, and the General Membership of Local No. 1 for their aid. National President of the IUMSWA. Executive Secretary of Local No, 1. Assistant Executive Secretary of Local No. 1. Assistant Secretary of Local No. 1. Secretary to John Green, President of IUMSWA. FROM the post World War I collapse of the American shipbuilding industry until its first signs of revival in 1933, few workers in the network of shipyards that sprawled across the Nation belonged to bona fide labor unions. Some of the more highly skilled workers, such as machinists, were organized into craft unions. But there was no cohesion, no singleness of purpose among the various craft unions even when their interests were identical in the same yards. Their effectiveness was greatly nullified by this lack of unity, declining memberships, hostility of employers and prevalence of company dominated employee representation plans. Thus, in 1933, the industry had low wage rates and a short work week which reduced the prevailing earnings of all workers in American shipyards. First class mechanics? average earnings were about $22 a week—when they had work. Nor was there any adequate machinery to adjust multitudinous grievances, such as speed-up, overtime, incentive and discrimination as well as low wages. This combination of deplorable circumstances induced a group of courageous and determined employees of the New York Shipbuilding Corporation at Camden, New Jersey, to organize a union that would include and represent all workers in the yard, irrespective of their occupation and skill. Thus the Industrial Union was introduced to the American shipyard workers. It was immediately recognized as a timely and popular initial remedy for the shortcomings of labor organization and grievance machinery in the industry. Not only was it received with spontaneous favor in the Camden yard, where the majority of employees quickly signed up, but it fanned the hopes of workers in other yards. 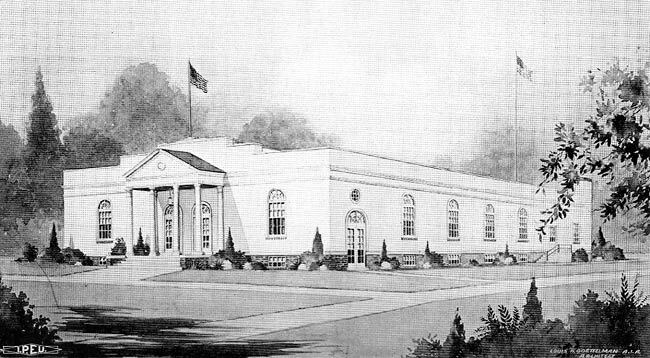 For at this time, the Code Hearings were being held in Washington, and representatives of the newly formed Industrial Union of Marine and Shipbuilding Workers of America, Local No. 1, carried the Camden message with them to the Capitol. There, representatives of employees in other shipyards became acquainted with the Camden Union men and the tidings they bore. The result was that Local No. 2 was formed at Sun Ship in Chester, Pennsylvania, and of No. 3 at Pusey & Jones in Wilmington, Delaware. Later the three locals were to combine their strength and organize a council that, in effect, heralded the birth of the shipworkers' industrial union on a national scale. 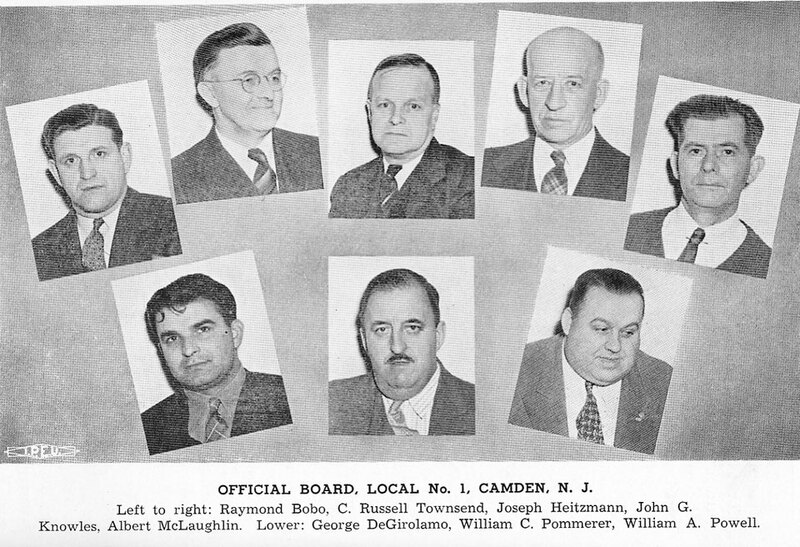 The first membership meeting of the Camden workers was held in September of 1933, at which time a preamble and by-laws were adopted. With the adoption of by-laws, officers were nominated and elected. Thus the group was formally organized, and held its first official meeting the following month. The workers were now ready to move for better wage levels and working conditions. A committee called upon the New York Shipbuilding Corporation to recognize the IUMSWA as the only Union representing a majority of the yard's workers. The committee also requested abolition of the Employees Representation Plan. The company acceded to a vote among the employees, with the Management and Union representatives supervising the balloting, which was held in December, 1933. Every worker was given an opportunity to voice a preference. The result was a 20 to 1 victory for Local No. 1, and the members of the Employees Representation Plan voted to disband. Thus a precedent was established in the industry. This vote was unique in that it was the first time such a manner of choosing representation was adopted before any law was enacted setting up such election machinery. Later labor laws providing for the conducting of such elections were, in one form or another, patterned after the election which Local No. 1 won so handily. Then began a series of moves by the Union to obtain benefits for the workers in the yard. Delegations were sent to the Management, to the Labor Board and other Federal agencies in Washington, but they ran into red tape and blank refusals. The company refused, despite the election it had granted and supervised, to recognize the Union or negotiate with it. 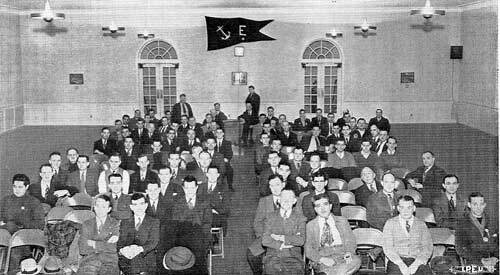 On March 24, 1934, attempted negotiations had broken down, and a strike vote was taken of the Industrial Union membership. The members backed up their officers, and the company was given three more days to negotiate. The Management remained adamant, and on March 27, after a mass meeting had reaffirmed the Union's stand, the yard's 3200 employees went on strike. They stayed out for seven weeks. During that period they conducted an orderly and economic strike, and remained resolute in the face of successive offers temptingly proffered by the company. Finally, on May 11, the Management capitulated. The strike was settled on terms granting the Union a 14.8 per cent general increase, plus numerous other concessions by the company, including a week's notice of a layoff, simplification of the wage scale, preference for former employees in hiring and, most important, formal recognition for the Industrial Union. The men returned to work May 14 under the first Union contract signed by any big shipyard in 15 years. Meanwhile, the Union had been moving forward on other fronts. 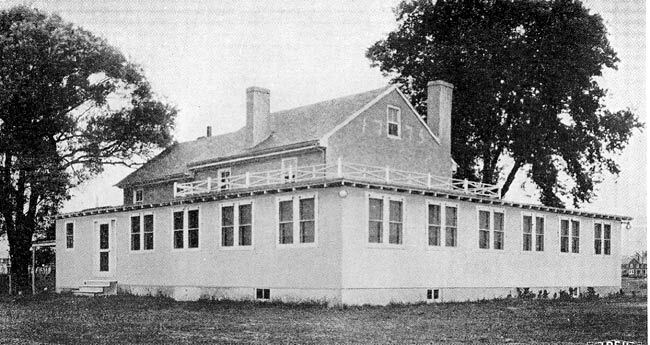 Together with the Chester and Wilmington Locals, it formed a Central Council, which engaged an organizer and full-time Secretary. With the end of the Camden strike, the Council established Locals (4) at the Bath Iron Works at Bath, Maine; (5) at Bethlehem's Fore River Plant at Quincy, Massachusetts, and (6) at the Electric Boat, New London, Connecticut. The first National Convention of the Industrial Union of Marine and Shipbuilding Workers was held in September of 1934 at Quincy. 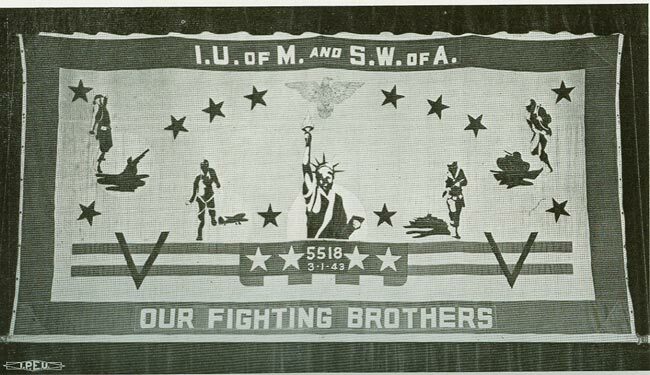 The Union then represented about 7,000 organized workers, and their delegates in convention outlined a broad program looking towards standardization of wages and job classifications in all shipyards, elimination of incentive and piecework evils, and extension of organizational activities. These aims they set out to accomplish, undeterred by the industry's long record of opposition to organized labor and determination to force the Union to battle bitterly for every inch, every concession it gained. But by the following Spring, despite all discouragements and some setbacks including dismissal of the Union's most active leaders at Newport News, five more locals were organized—four of them on the Pacific Coast! Nor was all clear sailing at Camden. The New York Shipbuilding Corporation was to test the Union again in 1935, this time with six weeks of fruitless bargaining. The workers asked for higher wage rates more commensurate with their labors, elimination of piece or incentive work, extra pay for the night and dangerous work, and a preferential Union shop. The company refused to either negotiate a new contract or renew the old one. Therefore, the Union had no alternative but to call its second strike to enforce its demands and protect its members from a management demand for a company union set-up that would have sounded the death knell of the Industrial Union and all its initial gains. For nearly 16 weeks some 3,000 men kept their ranks unbroken through all manner of adversities but with encouragement—both moral and financial— from National and Local Unions throughout the Nation. Finally, since the shipyard was by then engaged in the new naval construction program, President Roosevelt on August 22 issued an Executive Order appointing a special Board of Arbitration with instructions to endeavor to settle the dispute on these terms: recognition of the Union, all men to return to their jobs under the old contract, and the Board to arbitrate the Union's demands and incorporate its award into a contract to be signed by both the company and the Union. This procedure was accepted by both parties to the dispute, and the men returned to work August 29. After hearings lasting some six weeks, the board handed down a decision October 12 in the form of a contract. 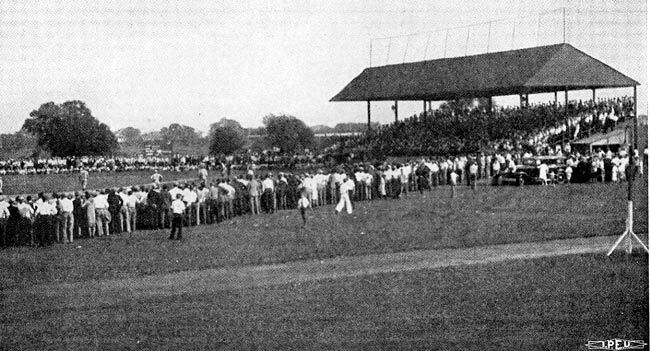 It included a five per cent increase in wages, maintenance of the 36-hour week, time-and-a-half for overtime, double time for Sunday and holiday work, machinery for handling grievances by Union Shop Stewards, and a permanent board of arbitration to adjudicate all disputes that could not be settled by ordinary means by the company and Union. The corporation was also bound not to discriminate in any way whatsoever against its employees because of Union membership or activity. Through the successful conclusion of the second Camden strike, the Industrial Union obtained a strong foothold in the shipbuilding industry. It was now in a strategic position to press for organizing the majority of workers in all shipyards. Naturally, the National Labor Relations Act, guaranteeing protection for workers against unfair labor practices by employers and providing for elections to determine collective bargaining representatives, was of tremendous value to the enterprising Union. One after another shipyard was organized and ultimately ordered by the National Labor Relations Board to disestablish company unions and to bargain with accredited workers representatives. The growth of industrial unionism in American shipyards has been spectacular, even phenomenal, since this signal victory. 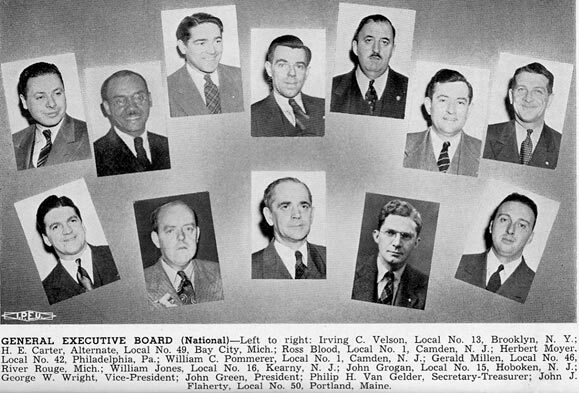 By September of 1942, when the Union held its eighth National Convention, the national organization had pyramided from six locals representing 7,000 men in 1934, to 52 locals representing about 250,000 men in the latter months of 1942. And as the Union expanded, so did its influence. Today workers in the shipbuilding and repair industry receive the highest average weekly earnings of all industrial workers. Back in 1933, when the Industrial Union was conceived, the average weekly pay envelope of a first-class mechanic contained about $22. By the Fall of 1942, the shipyard worker's weekly earnings averaged at least $57. Thus the first-class artisan who received a low of 54.9 cents per hour in 1933 was receiving an average of $1.17 an hour nine years later. This remarkable increase in wages can be attributed only to unflagging and constructive efforts of the Industrial Union to boost the living wage standards of its members to a just level. But the Union has accomplished considerably more, too. Conditions have been established in the shipbuilding industry that compare favorably to those of any other industry and exceed the prevailing conditions in most industries. This is particularly true in respect to overtime rates, night shift premiums, vacations and premiums for "dirty" work. Moreover, the Union has established grievance and arbitration machinery in all organized shipyards and has established effective joint Union-Management Safety and Training Committees in most shipyards. Since the war, it has set up active Labor-Management Production Committees in all yards. 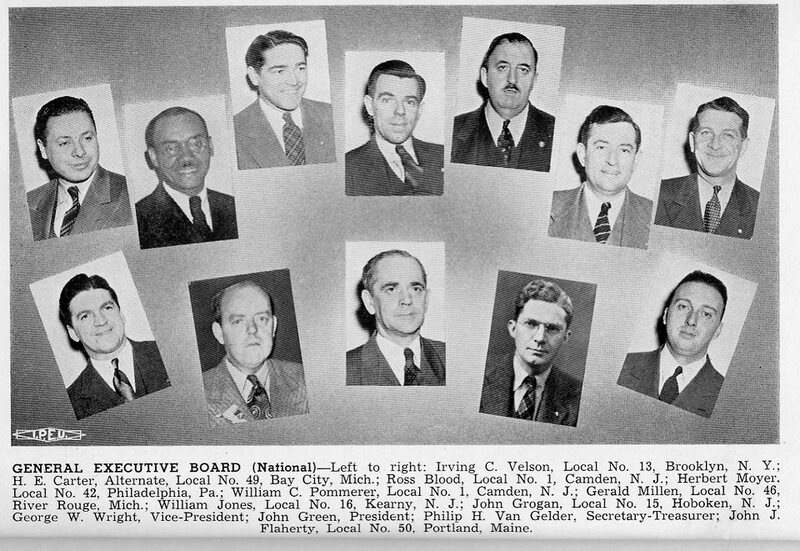 In November, 1936, the IUMSWA was admitted to membership in the Committee for Industrial Organization, the fore-runner of the present Congress of Industrial Organizations. 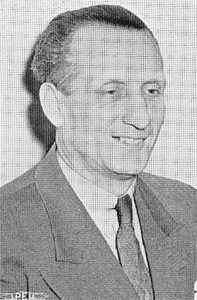 At the same time the United Electrical and Radio Workers joined the Committee, and these two Unions were the first outside AFL ranks to affiliate with the new movement. Thus the IUMSWA was a charter CIO member, and is still an outstanding affiliate of this branch of the labor movement.